I am watching a YOUTUBE video today with the first lady, Michelle Obama and she is talking about the new preventative care benefits that we are entitled to under the health care reform law. That was educational for most people. Then she says, go to www.healthcare.gov to compare pricing and see what health plans are available for you. I think the term she used as it is the first website that you can compare plans on. 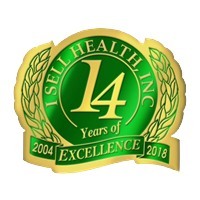 It looked remarkably the same as my website, www.isellhealth.net. You can compare plans and get the exact same pricing, I have had my site for at least five years, maybe more. So I am curious what was so good about it. The one difference is mine only has premiums for the States I am licensed to sell in (Illinois, Wisconsin, Indiana, Ohio and New Hampshire). Also, what I find interesting about the new law is all of the preventative services that are FREE, well we will say free as there is no deductible or no co-pay, but there is an added premium. I was listening to John Goodman, the president of the National Center for Policy analysis this morning, he had found a study from DUKE UNIVERSITY from I think he said 2003, in which all of the preventative services that are required now, as recommended by the United States Preventative Care Task Force, assuming every American took advantage of these services, Every doctor would take 1773 hours of their year to treat this patient. If I understood these numbers correctly, and I might have missed something, but I do not think I did, That takes each doctor 8 hours a day 221 days a year to treat nothing, but preventative services. I think the average person works 220 days per year. Our doctors will now have to work more to serve more. One out of Five Americans, are already living in an area that is underserved by doctors. How will this affect us in the years to come. I guess we will not know, but I have a feeling your wait in the doctor’s office will increase.